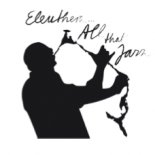 The line-up of artists and musicians for the 2018 Eleuthera All That Jazz was another impressive list! Lets tell you a little more about them…some we might be seeing again for 2019. Her intriguing personality and captivating artistry are as diverse as her origins. With roots in Madagascar and the Caribbean Islands and being born in Paris : she’s a real citizen of the world. The singer-songwriter, multi-Instrumentalist, and producer, started her career in Paris where she studied piano, saxophone and dance at the Conservatory. Singing has always been a part of her life and she developed her craft in church. After several shows as a singer and Master of Ceremony in Disneyland Paris, she traveled the world as a soloist with the Claude Bolling Jazz Big Band and the Orchestre National Symphonique De France. Throughout the years, Myra shared the stage with superstars such as Mireille Matthieu, Johnny Hallyday, Celine Dion or Enrique Iglesias and performed for Quincy Jones in Davos with her own choir Gospel Sans Frontières. She starred as the great Josephine Baker in the French movie “Ballade De Printemps” with Michel Serrault. She left Paris to play the lead role of “Nala” in the Lion King Broadway musical in Hamburg. In addition to her success as a performer Myra is a highly requested coach for gospel music and singing workshops, team building for big companies around the world and is regularly investing her time for charity work, singing in prisons and hospitals. In 2010 Myra received another platinum record. This time for her album “Afri-Frans”, a huge success in South Africa. The 2nd album reached Gold Status. In 2011, Myra sang at the opening ceremony of the Women’s World Cup in Frankfurt. 130,000 spectators were spellbound live by her breathtaking performance. In 2014 she releases her first jazz album “Salt – La Solution” together with Lutz Krajenski. Paris opens its doors again. Myra plays the lead role: “Rosa L’Amour” in the musical Gospel Sur La Colline. 50 performances at Les Folies Bergère. In 2016 : Myra presents the most beautiful songs of the legendary Whitney Houston in a unique show accompanied by the Leipzig Philharmonic Orchestra. A few months later she is on stage with Marius Müller Westernhagen, one of the greatest German Star, recording the MTV Unplugged DVDs. One success after the other. It goes on and on for this unique heartist. Born in 1975 in Milano, Italy Tommaso started playing the saxophone and studying music at the age of 18. He moved to the United Kingdom in 1994 where he graduated at Birmingham Conservatoire with a Bmus 1st class honours and later at the Guildhall School Of Music and Drama with a Postgraduate Degree in jazz studies in the year 2000. He has performed with some of the most respected jazz musicians including Billy Cobham, David Liebman, Kenny Wheeler, Stan Sulzmann, Jim Mullen, Jonathan Gee, Fabrizio Bosso, Paolo Fresu, Laurence Cottle. In the year 2004 he collaborated with award winning Oscar composer Dario Marianelli ( ‘Pride and Prejudice’ and ‘ The Atonement’ ) recording music for ‘This Little Life’, a BBC drama for Channel Four. ‘Tommaso Starace plays the photos of Elliott Erwitt’, recorded in 2005 with his British Quintet, his second debut album to his name, is a project dedicated to the iconic images of Magnum photographer Elliott Erwitt. The Quintet features some top British musicians such as Roger Beaujolais on vibraphone and Liam Noble on piano. This album allowed the young saxophonist to tour twice round the United Kingdom performing with his quintet in some of the most prestigious jazz clubs, festivals and concert halls. for his significant contributions made across the years within the various branches of the music profession. ‘Tommaso Starace Quartet – Don’t Forget’ recorded in the year 2009, also marked the beginning of an exciting musical collaboration with his Italian Quartet comprising Michele Di Toro on piano, Attilio Zanchi on bass (Paolo Fresu’s collaborator for many years) and the hard swinging drumming of Tommy Bradascio. Renowned jazz author and critic Vittorio Franchini says of Tommaso’s new recording : “The sax is filled with voices, it sings gaiety…….I like the way he follows joyful paths, I imagine him playing around with rhythms, playing with the other instruments, opening up to new feelings and inventing new ways…” The launch of the CD successfully took place at the Blue Note in Milano in front of a full house. The Italian quartet undertook a UK tour in April and an Italian Tour in May 2010.
comprising: Frank Harrison on piano; Laurence Cottle on electric bass and Chris Nickolls on drums. The band recorded music by Michel Petrucciani, Billy Strayhorn, Ennio Morricone, Henry Mancini plus some new exciting original material by the band leader. The Tommaso Starace Italian quartet records in August 2011 ‘Celebrating the Music of Michel Petrucciani’. The quartet performed ten of the most loved and well known compositions written by the great french pianist who thanks to his positive and exuberant character and virtuoso piano playing made his fame in America and around the world. Two fantastic guests are featured on the CD: Italian trumpet star Fabrizio Bosso, and Uk vibraphone virtuoso Roger Beaujolais. The CD is released on the Universal Label. Tommaso Starace goes back to a new jazz/photograph project. His previous jazz/photographic album was dedicated to the iconic images of Elliott Erwitt. 2014 sees the saxophonist embarking on a project dedicated to his country Italy and to one of his most beloved photographers in Black and White: Gianni Berengo Gardin. The album ‘Italian Short Stories’ is a collection of 14 compositions dedicated to 14 images taken by Berengo across Italy from the 50’s to the year 2000. All compositions are original and recored with his Italian quartet. The special guest on the album is trumpet star Paolo Fresu. The CD is the second collaboration with the Universal label. In the year 2015 Tommaso teams up with his long time musical companion Michele Di Toro to record an album in duo: ‘From a Distant Past’. All original compositions plus arrangements of tunes by Chick Corea and Randy Newman. This new recording as the previous one ‘Italian Short Stories’ continues to explore a melodic and cinematic approach to jazz this time bringing to life a world that belongs to a remote past made of fables and surreal stories. The recording marks the third collaboration with the Universal label. Tommaso’s aim through composition and the production of his CD’s is to write tunes with a strong melodic component exploring traditional and more contemporary harmony and always maintaining the sense of swing and groove. Not surprisingly some of Tommaso’s influences are Cannonball Adderley, Clifford Brown, Joshua Redman, Brandford Marsalis, Ennio Morricone, Stevie Wonder, Maurice Ravel. But his passion for black and white photography, painting and cinema are also a continuous inspiration to his writing and music. Tommaso is currently busy performing with his quartet all over Europe in jazz clubs and festivals. Massimo Colombo, born in 1961 in Milan, is a composer, arranger, pianist who got a diploma in piano at “Conservatorio G. Verdi” of Milano. He studied harmony, contrappunto and composition and took some lessons from the American pianist Sonny Taylor and undertook an intense activity as a pianist and writer in collaboration with other Italian jazz musicians. He has taken part in concerts and music productions with a variety of Italian musicians including: Paolo Fresu, Enrico Rava, Attilio Zanchi, Tino Tracanna, Paolino Dalla Porta, Roberto Ottaviano, Gianluigi Trovesi, Tiziana Ghiglioni, Fabrizio Bosso, Franco D’Andrea and with international musicians including: Tony Scott, Tommy Campbell,Pierre Favre, Billy Cobham, Jeff Berlin, Greg Hutchinson, Peter Erskine, Darek Olesczkiewicz, Bob Mintzer. He has recorded 24 cd’s as a writer for various musical groups using both acoustic and electric sounds. He has taken part in important festivals in: Milano, Bergamo, Latina, Parma, Bologna, Berchidda, Bolzano, Trento, Nuoro, Ginevra; and in different radio and RAI tv programs (Invenzioni a due voci, Jazz Club -La stanza della musica-). He teaches piano at Conservatorio “N. Piccinni of Bari and Jazz arranging at the “Conservatorio G. Verdi” of Como. He writes for music magazines and has published a series of didactic scores (for Carish and Da Vinci). The Steve Koven Trio is a Canadian, Toronto-based jazz group. Pianist Koven is joined by long time members, Anthony Michelli on drums and Rob Clutton on bass. Formed in 1993, the trio has performed world-wide, and has established themselves as one of Canada’s cultural ambassadors. The band has released ten critically-acclaimed albums since their debut, Live at the Senator, in 1997. Many of their compositions have been used for national and international film and TV productions. Steve Koven is a composer, performer, producer and educator. In 1993 Steve established the Steve Koven Trio. Touring the world for more then two decades, they have become known as ‘Canadian Cultural Ambassadors’. Aside from performing world wide with his trio, Steve also performs solo piano concerts throughout North America, Europe and the Caribbean. Dozens of Koven’s compositions have been licensed for national and international film and television productions. As an educator, Steve has been teaching in the Faculty of Music at Toronto’ s York University since 2003, teaching Contemporary Improvisation and Jazz Piano. In addition, Steve teaches Musical Entrepreneurship at Centennial College in Toronto, He holds a Masters in Music Composition and has presented master classes and clinics throughout Canada, China, Japan, Colombia, Barbados, Bahamas, USA and Mexico. is a bass player who works in the intersections of composition and improvisation, mainly in long-term projects in which the relationship of the musicians has a central but incalculable role. Rob’s impetus to play the bass comes from listening, allowing inspiration to reside in a sonic imaginary, in which the sound of the bass is the same as the tree singing is the same as the human listening. Rob has recorded two solo bass albums: Dubious Pleasures and Suchness Monster, on the Rat- Drifting label. In 2015 the Cluttertones released Ordinary Joy, a recording of Clutton’s compositions, on the Healing Power label. Earlier independent releases of original compositions include Holstein Dream Pageant and Tender Buttons. Current projects include a new Cluttertones album with special guest pianist Lee Pui Ming, to be released in mid-2018. Rob is delighted to be back with the Steve Koven Trio at the Eleuthera Jazz Festival! Anthony Michelli, the Canadian born and internationally respected professional has fostered a creative and successful career in the music industry as a drum set performer, post-secondary educator and sound recording producer. Appreciative to be a member of various diverse projects featuring an extensive list of celebrated, distinguished composers and performers, Anthony is able to actualize his unique approach performing in several varied styles of music equally with respect and dedication to the art of creating Music. Through personal motivation, curiosity and dedication alongside of a ever-persistent quest for knowledge, Anthony has be able to remain relevant, current and active for over two decades as an esteemed professional. In addition, Anthony has recorded and collaborated with innumerable artists in the contemporary jazz, original composition, world, popular and creative music genres spanning from 1995 to the present day with well over one hundred recordings listed in his discography. Although it is not his constant priority, he does periodically lead his own group. Anthony accredits any accolades under his name to the groundwork established by his mentors and elders that forged and opened the pathways. Inspired to keep a continuum, Anthony has made it a personal goal to remain true and creative in efforts to break ground for young and aspiring musicians finding their place in the industry. At the age of 13 Solomon started playing with the Cotton Club 17-piece band as Lead Guitarist and still continues to perform there. Along with being called “Lil’ B.B.” he played the KISS Kruise V, 2017 Joe Bonamassa Blues Cruise, Spain [FESTIVAL DE BLUES DE BÉJAR-Blues CAZORLA-San Javier], Jazz Marciac in France, and the Tokyo Cotton Club. He has been featured in The Washington Post, New York Daily News, The New York Times, Amsterdam News, November 2016 front cover of Blues Blastmagazine, Montana’s Bigfork Eagle, New Jersey Jazz Society News, and the PBS TV series American Music. Solomon has performed with Tony Bennett, The Destroyers (George Thorogood), Neal Evans (Soulive), Jimmy Vivino (Bandleader for Conan O’Brien), Sam Moore, Marcus King, Stax Songwriter William Bell, John Nemeth, Blind Boy Paxton, Roger Earl (Foghat), Kim Simmonds (Savoy Brown), Davey Knowles, Ne-Yo, Jon Hendricks, Mike Stern and Lee Ritenour. He performs regularly in NYC at The Iridium, BB Kings, Ashford and Simpson’s Sugar Bar, The Red Rooster, Terra Blues, Minton’s Playhouse and Ginny’s. Solomon has taught music at the Children’s Aid Society , is a Harlem Arts Alliance member, supporter of the NYC Jazzmobile and a member of The Blues Foundation in Memphis. His first major release on Mascot Label Group will hit the streets in late Spring 2018. Frank “Johnny” Schüetten studied classical piano, composing and Orchestra conducting at the Music Academy in Vienna, Austria. After his studies and engagements in classical music, he studied in New York to broaden his knowledge and experience in jazz-piano. He performs solo or in different formations in Festivals throughout Europe, and for the last 17 Years has organized with fellow musicians the annual “Shake The Lake” Festival in Austria, which has become one of the biggest Piano-Jazz Festivals in Europe. Furthermore, he launched a classical/jazz festival, “Autumn Leaves”, that also takes place in Austria and features well known artists from all over the world. Besides being devoted to various piano styles from the Jazz era, Johnny also composes and has written in various instrumental arrangements between orchestra setting and solo piano, as well as appearing on stage with classical chamber music formations. His newest recording (“Fingers Unlimited”) is a vinyl record with Christoph “Stoffi” Steinbach, where they perform their own arrangements of Jazz Standards from the last century on two Grand Pianos. For this year’s festival, Johnny has invited his good friend and colleague Christoph Steinbach (see his profile below) to be part of the line up. Johnny and ‘Stoffi’ regularly play together at festivals around Europe, often in a double piano performance. Click on the below link for an amazing performance by the two of them playing together ! This entry was posted on March 26, 2018 by eleutheraallthatjazz in Uncategorized.